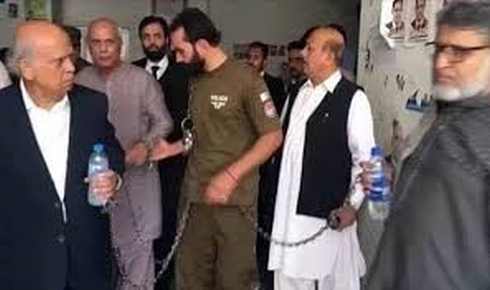 It was disturbing to see a retired Vice Chancellor and several aged Professors being led in handcuffs by the National Accountability Bureau (NAB) and Police officials on frivolous charges that had yet to be investigated or proven. This was perhaps the single most shameful incident that one could have witnessed on national and international media. Is this the level we have stooped to as a Nation? – Senior teachers with walking sticks, handcuffed and publicly shamed. At the same time, we have seen political criminals walking freely, being garlanded and their luxury vehicles being showered with flower petals as they grace the courts with their presence. We have seen hardened killers proudly entering the courts with no handcuffs and the police cowering behind them. We have seen celebrities arrested with proof, coming to the courts as if they were going for a movie shoot. This then is the tragedy of Pakistan, where respect is misdirected and the criminal is honoured and those imparting knowledge are shunned. These incidents are reflective of the wider symptomatic malaise that has infected our society, and is threatening the socio-economic stability of the country. We have all but destroyed Jinnah’s vision of Pakistan, where autocratic state institutions are allowed to name and shame individuals without an iota of proof or proper investigative procedures having been adopted. If the Teachers who are nurturing our future generations cannot be accorded the respect that they deserve, there is little hope for improvement. 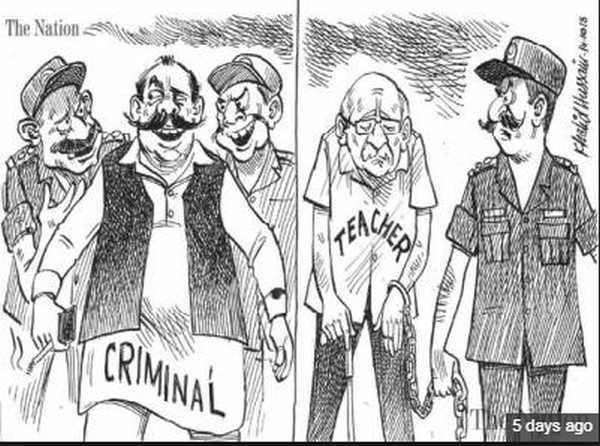 The Nation came out with a very appropriate satirical cartoon, which aptly sums up the situation in Pakistan, by depicting a Teacher in handcuffs and a criminal grinning as he was escorted by the Police. Education is a powerful tool for transformation, but unfortunately one that has for far too long been ignored in Pakistan. There was a time when there were excellent, affordable educational facilities in the country, run by dedicated Missionaries who had a passion for learning and teaching. I still remember the excellent educational standards of those times and how those teachers were committed to imparting true knowledge. Unfortunately, the Zia-era destroyed the fabric of education in Pakistan and inflicted such a brutal blow to a well-functioning system, without providing a viable alternative, that to this day the country is struggling to implement a competitive system that imparts true knowledge. As per the World Economic Forum’s Global Human Capital Report 2017, Pakistan ranks 125th out of 130 countries on the basis of how well they perform in the Education and Skills development and Infrastructure. Human capital is defined as the knowledge and skills people possess that enable them to create value in the global economic system. The report recognizes people’s knowledge, talents, creativity, and skills and argues on the importance of building deep and diverse talent pools that would, in turn, contribute to a country’s economy. Clearly, Pakistan is not nurturing or strengthening its human capital through its educational system. As per the report the human capital potential in Pakistan is held back by low rates of enrollment and poor-quality primary schools and skill diversity among the university graduates remains low as compared to other countries. 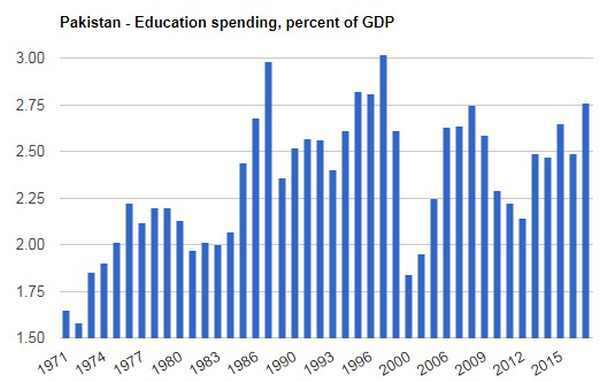 This is a legacy of successive governments and the low priority accorded to Education with around 2.5% of Gross Domestic Product (GDP) allocated for education. The public sector educational system is marred by corruption, nepotism, and low levels of teaching capability. With low salary levels, inadequate infrastructure, and paucity of funds the sector is unable to attract the kind of talent required for building the future generations. 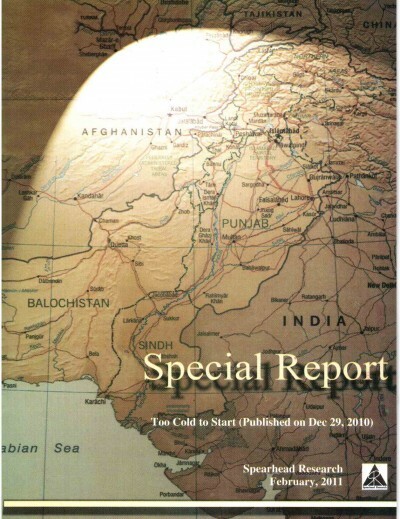 The Intermediate Examination in Pakistan, which is considered to be the gateway for higher learning, is mired in corruption to the core, where the sole purpose of obtaining the certificate is to score the highest marks possible, without any concern for acquiring real knowledge or understanding concepts and linkages. The result – we have thousands of children ill-equipped to handle higher education having obtained exceptional grades through cheating or cramming the knowledge from substandard textbooks with old, archaic, unedited syllabus and academic curriculum, with textbooks that have incorrect factual data, grammatical mistakes and spelling errors. There is no emphasis on building a cognitive thought process or engaging the students to encourage them to think and question concepts. The ill-equipped classrooms and examination halls, poorly trained teachers and invigilators, and endemic culture of cheating has destroyed the last vestiges of education in Pakistan. The Private sector has tried to step in to fill the gaps within the Public sector system. However, these institutions are driven mainly by the profit motive and remain expensive and out of reach of the common man. While the standard of education is relatively better in these institutions it still remains a far cry from what it should be. To an extent it is handicapped by the flawed state educational standards and examination systems. The educational sector is unable to attract the kind of talent required to uplift education, given the low level of compensation in the institutions of learning and the relative lack of respect for those engaged in academia. 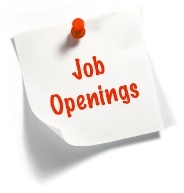 Unless one is driven by a passion to teach or is necessity-driven there would be very few professionals who would opt for a career in education. It is no wonder that not a single University in Pakistan ranks amongst the top 500 in the QS Global Rankings Index. Unless the PTI-led government lays extreme emphasis on developing education from the grass roots level, through improvement in the Curriculum, Examination system, Infrastructure, Manpower, Teacher Training, Compensation levels, Research and the introduction of skill-based training there is little hope for a burgeoning population of 200 Million plus. Creating new Schools and Universities is a requirement, but what is far more important is a transformational shift in the mind-set for imparting education, research and creating real knowledge. With an extremely low literacy rate of 58 per cent in Pakistan (Economic Survey of Pakistan) and a multidimensional poverty level of 39 per cent (UNDP), education is essential and a fundamental right of every citizen of Pakistan. The State has unfortunately miserably failed to meet this crucial obligation. There is a dire need to lift the standard of public sector education in the country so that education is available and affordable by the people. There is a need for a cultural shift to emphasize the importance of education as a catalyst for positive change and economic uplift. The recent incident of humiliating senior educationists certainly did not send the right signals. Respect and honour needs to be restored for those engaged in educational sector and the conditions improved. In the absence of real structural improvement in the educational sector the country will continue to flounder with ill-trained leadership focused on being entertainers rather than being agents of positive change. Pakistan’s demographic trends while highlighting the need for population control measures also indicate the enormous potential in Pakistan if youth can be educated, given skills, imparted work ethics and made physically fit and mentally alert. This is what needs to be addressed on a priority basis.